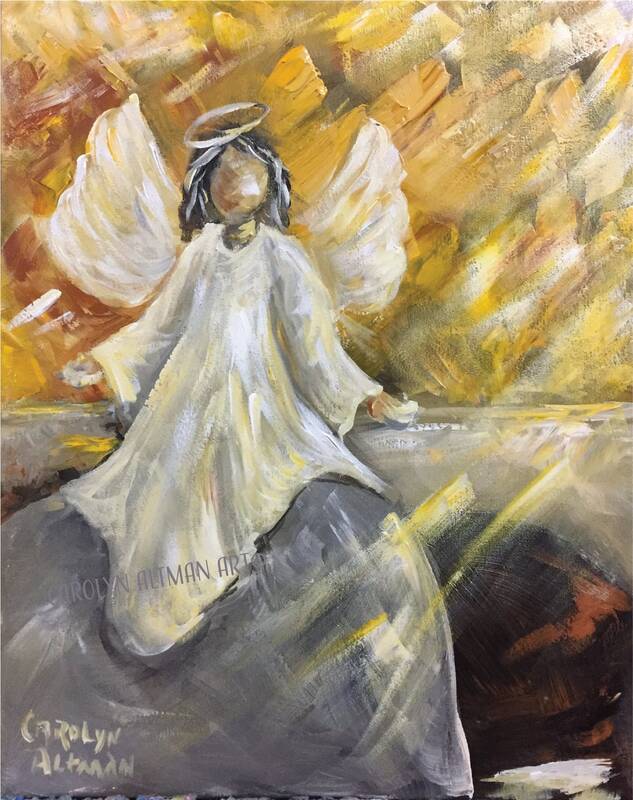 Angel at the Tomb painting is made into beautiful angel art print. This angel painting is printed from a painting that I painted on yesterday, Easter morning, April 01, 2018. Using bright yellows in the background for the sunrise and light gray tones for the tomb and whites for the Angel on the stone's clothing. Art painting is printed on archival canvas using archival toner and rolled up, placed in a tube for safe mailing. I print the print for you when you place the order. I print it in my art studio, carefully making sure that the colors are correct.